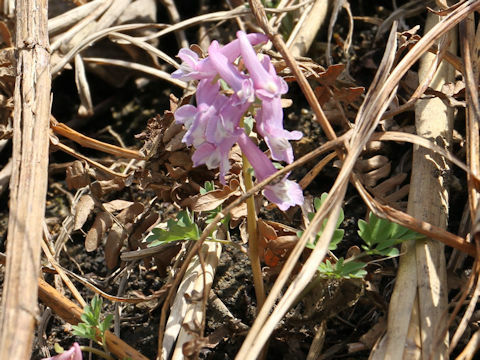 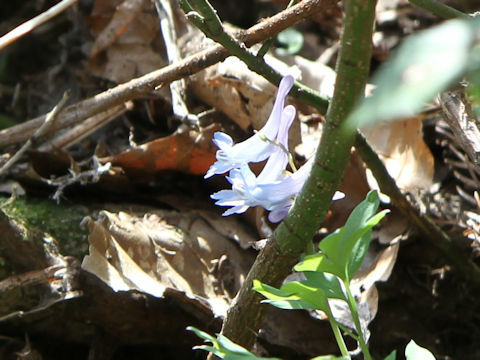 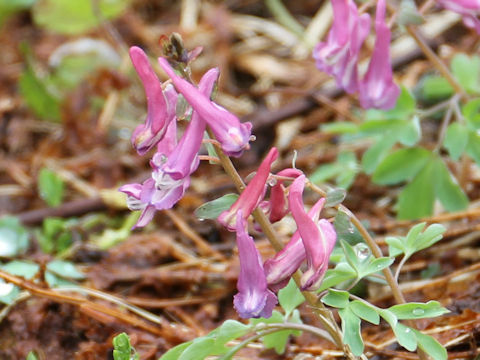 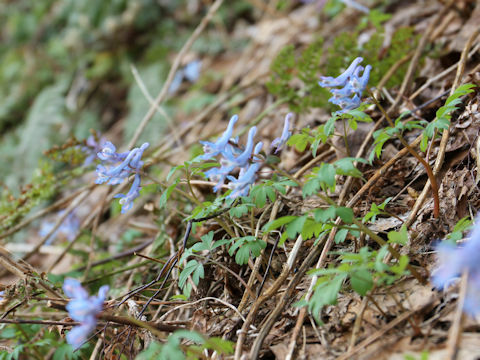 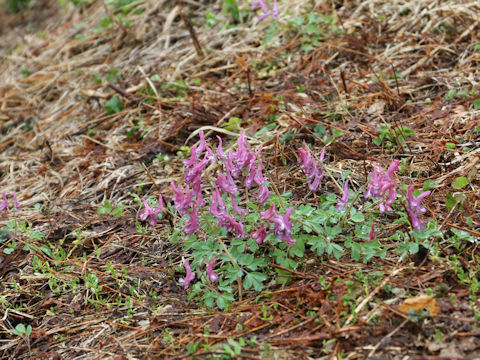 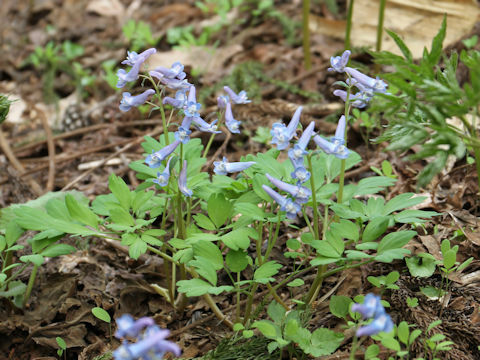 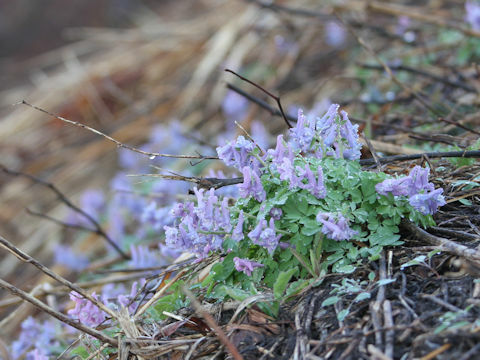 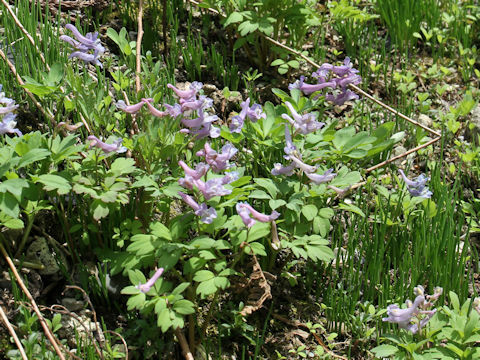 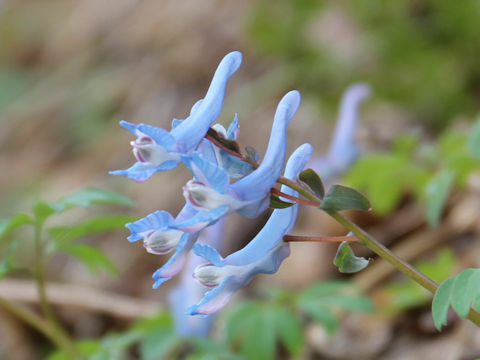 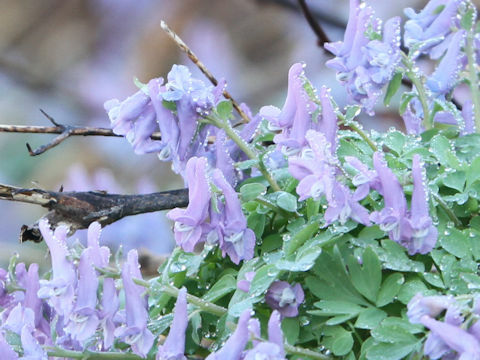 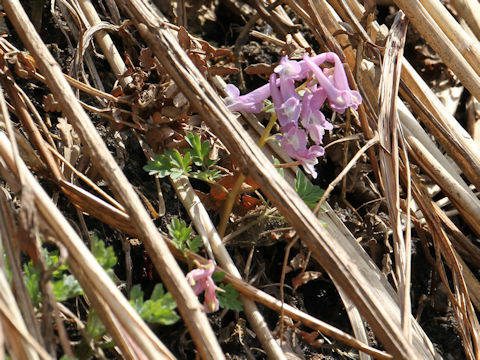 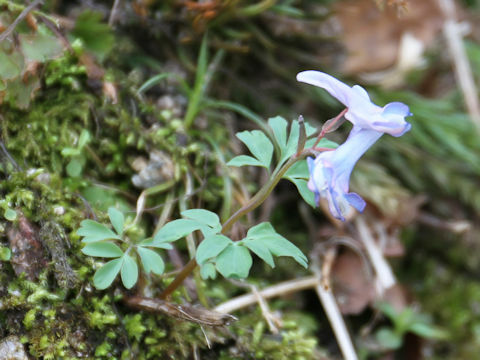 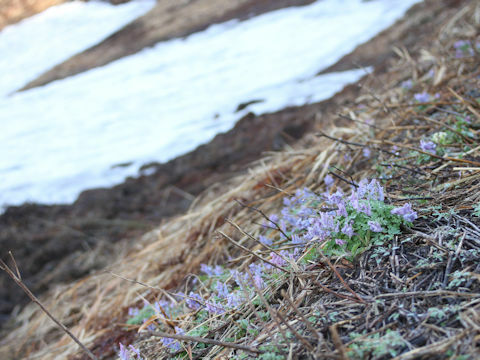 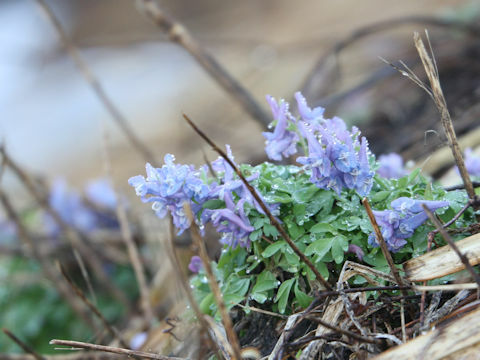 "Ezo-engosaku" (Corydalis ambigua) belongs to the Fumariaceae (the Fumitory family). 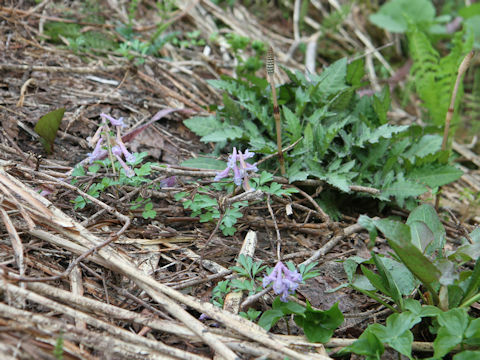 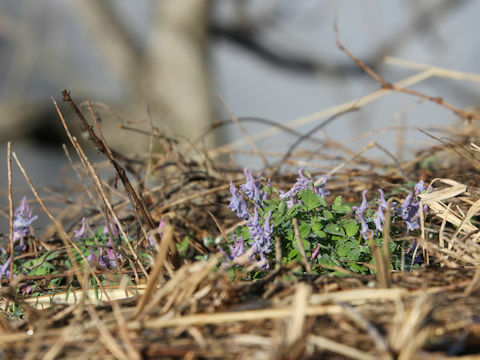 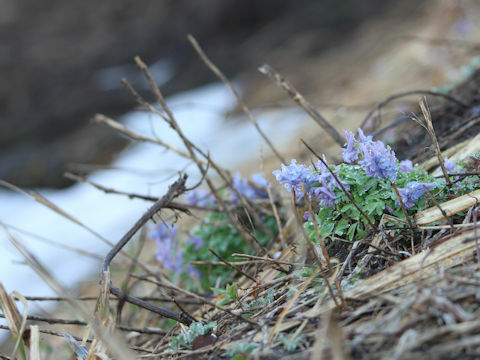 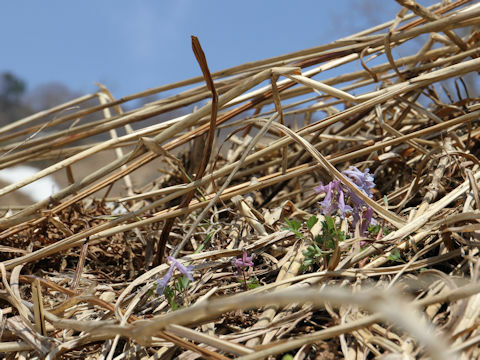 It is a perennial herb that is distributed from Hokkaido to the Japan Sea Side in the Tohoku region. 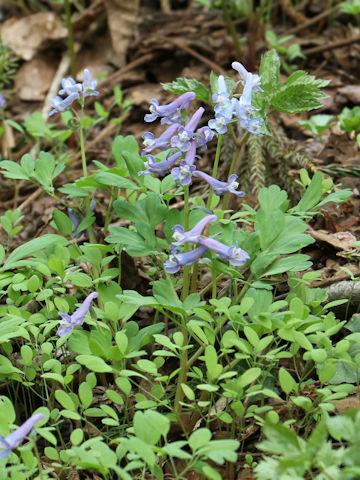 This herb grows in the wetland forests and the forest edges of the mountainous area, and up to a height of 10-25 cm. 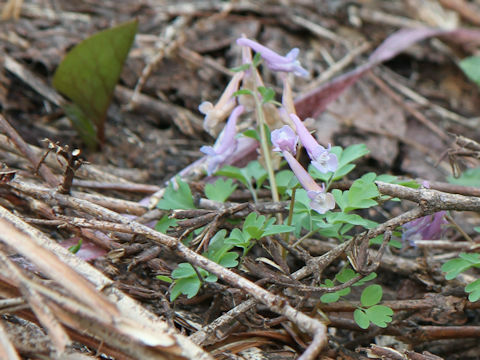 The leaves are trifoliate to triternate compound with elliptic or broad linear leaflets. 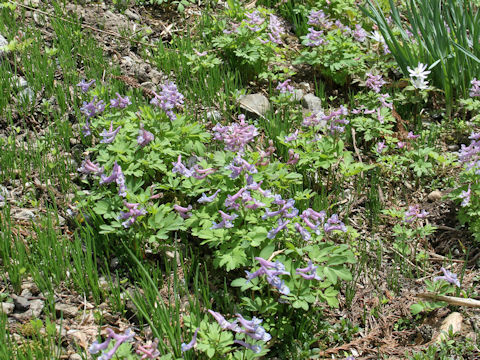 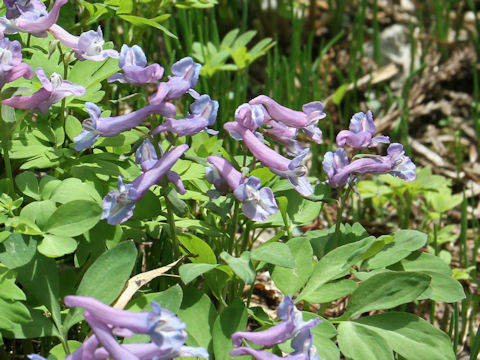 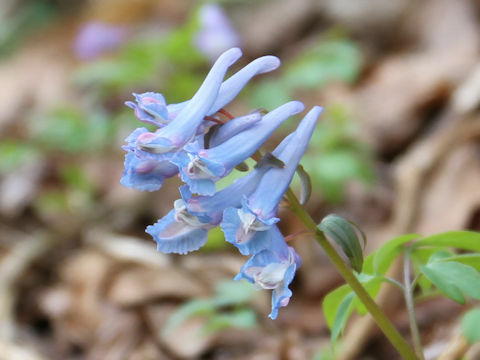 The racemes are borne at the top of the stem, and bloom bluish purple flowers from April to May. 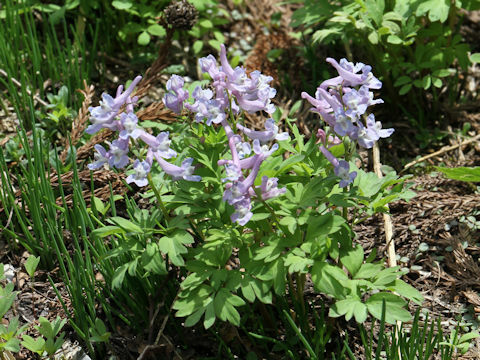 Sometimes it blooms light blue, light purple or white flowers. 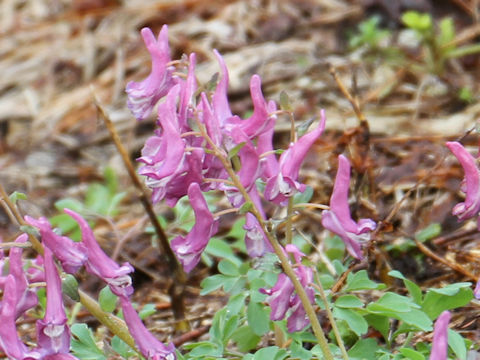 Bracts usually do not cut. 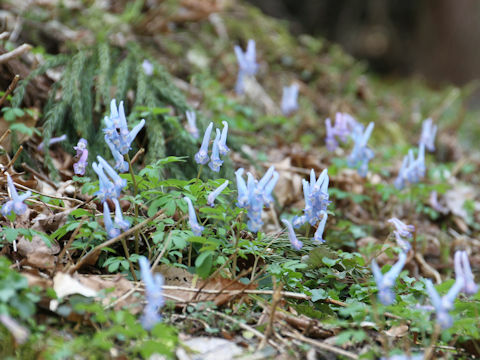 When the young leaves of the deciduous broad-leaved forest open, the terrestrials are blighted, and after that it will dormant until next spring.